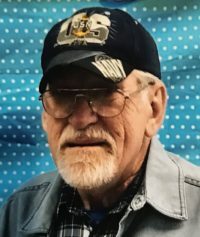 William S. “Bill” Argay – (78) – of 14 Elm St., Canisteo, NY, died Tuesday afternoon (May 22, 2018) at the Bath VA Medical Center, following a brief illness. Born in New York City on October 26, 1939, he was the son of William & Barbara (Steyskal) Argay. Bill, affectionately known as “Pop” by his grandchildren, grew up in Lake Ronkonkoma, Long Island and was a graduate of Sayville High School in Sayville, Long Island (Class of 1956). Following high school graduation, he enlisted in the US Navy and served his country from 1956 – 1962. After being honorably discharged from the US Navy, Bill returned to Lake Ronkonkoma, Long Island where he worked various jobs. He has resided in the Hornell – Canisteo area for nearly 50 years. He had been employed for several years at the former Stern & Stern Textile Corporation in Hornell and for 13 plus years worked as a machinist at the former SKF Industries, retiring in 1988. Bill was a former member of St. Joachim’s Church of Canisteo. In recent years, he was a member of Our Lady of the Valley Parish. For many years, Bill was a member of the Free & Accepted Masons (F&AM), Morning Star Lodge #65 of Canisteo, and was also a member of the Canisteo American Legion. In his younger years he enjoyed deer hunting. He was also a very social man and willing to talk to anyone and everyone, often sharing a joke or two with anyone that would listen. However, his favorite pastime was spending time with his children, grandchildren, and great-grandchildren. He is survived by his loving and devoted wife of 45 years, the former Dorothy Fogarty. The two were married on December 9, 1972 in Riverhead, NY. Also surviving are his son, Christopher (Rosanna) Argay of Canisteo; 4 daughters, Dianne (John) Heckel of Canisteo, Maureen Cone of Daytona Beach, FL, Sharon (Paul) Pacholski of Rice Lake, WI, and Jennifer (Rob) Larkin of Garnerville, NY; 1 brother, Steve Argay of FL; 2 sisters, Teresa Scott of NY and Peitra Alchermus of FL; 11 grandchildren, Kristen (Ed) LaFleur, Michael Heckel and girlfriend Brittany Guie, Willy Rideout, Sam (Pete) Lehman, T.J. Rideout, Jonathon (Melanie) Crider, Jeremy Crider, Brianna Larkin, Robert Larkin, Caden Argay & Alyvia Argay; 1 step-granddaughter, Elizabeth Loop; 8 great-grandchildren, Kendall LaFleur, Eddie LaFleur, Carter Lehman, Lucas Lehman, Morgan Lehman, Jayke Crider, Jocelyn Rideout & Evan Rideout; several nieces & nephews. Bill had a deep affection for his beloved dogs, Chelsea who passed 15 years ago and Shatzi who was his constant companion until his recent illness. Both of these canine friends brought Bill much happiness throughout the years. The family of William S. “Bill” Argay will receive friends on Saturday from 2:00 PM – 5:00 PM at the Dagon Funeral Home, 38 Church St., Hornell, NY. Private services will be held at the convenience of the family. Bill received wonderful care in his final days at the Bath VA Hospice Unit. His family request that in lieu of flowers, memorial contributions in his name be made to the Bath VA Hospice Unit, c/o Volunteer Services, 76 Veterans Avenue, Bath, NY 14810. My thoughts and prayers are with you all at this time!! I’ll miss our conversations especially during the summer while doing yard yard work, occasionally over a beer, I will miss him. RIP Uncle Bill, My Condolences and prayers go out to the family. So sorry to hear of Bill’s passing, he was such a nice person. I grew up playing in the open field behind his house on Elm Street and once I was married, my children played with his grandchildren. Now my son lives across the street from the family and Bill always stopped by to see how the progress was coming on the house. He also was found snow blowing the entire street in the winter to help out his neighbors. We will miss him at Village Hall, he always had a smile and a good story when he’d stop in. Prayers for his family.